We couldn’t pass November without some big bangs!! I thought it was time for a good sort out as I’m receiving lots of the happy mail treats for 2017 now. I need more space!! So I’ve put together 4 different types of ‘Bargain Boxes’ which you can grab for just £8 each. This includes UK delivery. The happy mail boxes all contain leftover treats and samples from previous kits from the last year. The kits will all vary slightly and may be slightly different from the photos shown here. These boxes make such lovely Christmas Gifts!! This happy mail box is full of cutesiness….lots of cute animals. 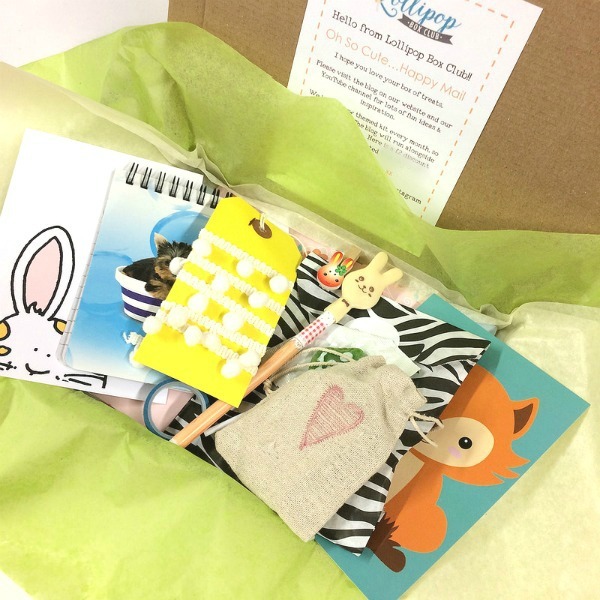 Note pad, washi, bunny pen and lots more…..
Oh So Lovely….. Lots of lovely things for you in this box. Lots of hearts… a stamp, lots of embellishments, heart clips, tape and lots more lovely treats…. 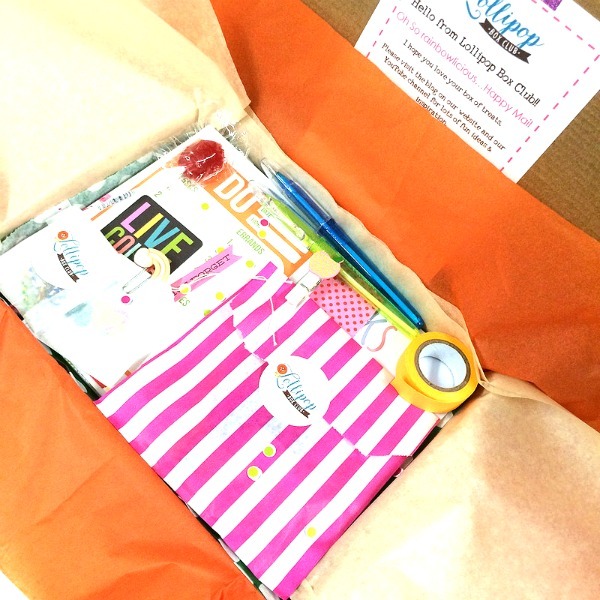 Oh So Rainbowlicious…..This box is full of colour, full of cheer and so delicious!! (please note that it’s not full of rainbows….just the yummy colours) Pens, washi, Embellishments, Emphemera, lists and lots more cheer…. And finally ‘Oh So Pretty’…. This one is full of pretty things. 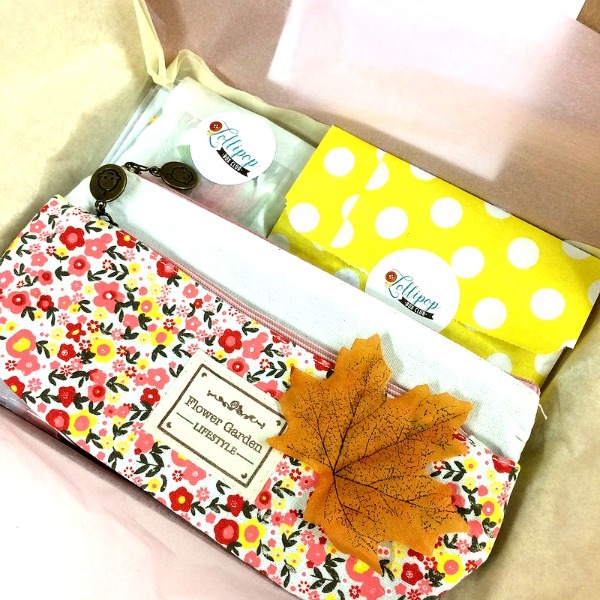 A pencil case, pen, ribbons, embellishments….and lots more…..
Each happy mail box is just £8 including delivery. The boxes do contain treats from the past year+. Please note that we are unable to accept any refunds/returns of these bargain boxes. These are only for sale to the UK on the website. If you live outside of the UK, delivery is £5.50 per box. 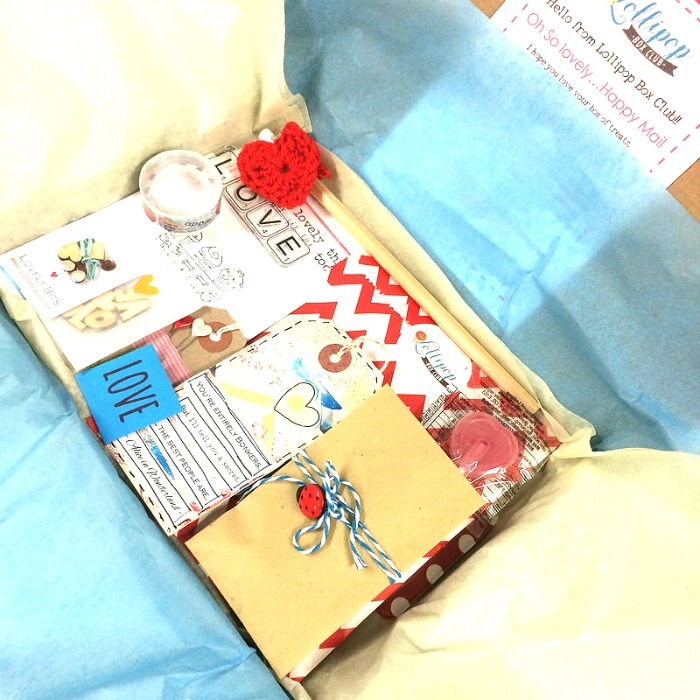 Please email me – hello@lollipopboxclub.com and I will send you an invoice. These boxes are only available whilst stocks last.